32 days to 32- My new Skin care plan! In 32 days I will be turning 32. I don’t mind getting another year older but this time I am starting to notice it. Besides the classic physical pain when waking up in the mornings, I am seeing lines that I have never seen before. Across my forehead and around my eyes. Honestly I have been the worst at taking care of my skin. I never focused on a beauty regimen. I typically just wash my face with a natural cleanser and use a spray on toner. In the past I was even worse. I used to love to tan, like love it. Tanning beds and all. I used to even sign a paper that said I was fully aware of the consequences. I was 16!! Thats crazy, I wasn’t aware of any of it. If I was I didn’t think I would care what I looked like in 15 years. I partied through college and never even thought of washing the makeup off after bed. The next morning I would scrub my eyes as hard as I could to get the chunky mascara off. It seems so crazy now and I completey understand why my eyes look the way they do. I also developed severe eczema around my eyes after childbirth with Mia. The dermatologist said that the damage from that would possibly age me by years! With the start of this new year I wanted to focus on health and wellness. I want to tackle the things I have neglected over the years and get to the healthiest state for my family. I joined a gym this week, got my hair cut and decided that it would be a great idea to get fillers. (Quick fix right!!) My husband said “No way!” Ian is the king of anti aging. I don’t know if you have noticed but he is 52 going on 35. He challenged my to a 30 day challenge. If I follow his skin care regimen and don’t see a change then the filler can be a go. (I have a strong feeling they wont be happening, I mean have you seen him?) So here I go, on my 30 day challenge. I will be washing my face morning and night with the Ageloc Facial Cleanser followed up with the Ageloc future serum then the day or evening moisturizer. 2 x a week I will be using the facial spa to help erase my wrinkles and reduce the size of my pores. I am hoping this system will help even out my skin, keep it clear and reduce the appearance of wrinkles. I am so excited to take you on my skin care journey. I have taken a close up before shot (those always look hideous) However, I will be more than happy to share my results in the end! So keep an eye out for my post on Feb 10th! I can’t wait to share with you. 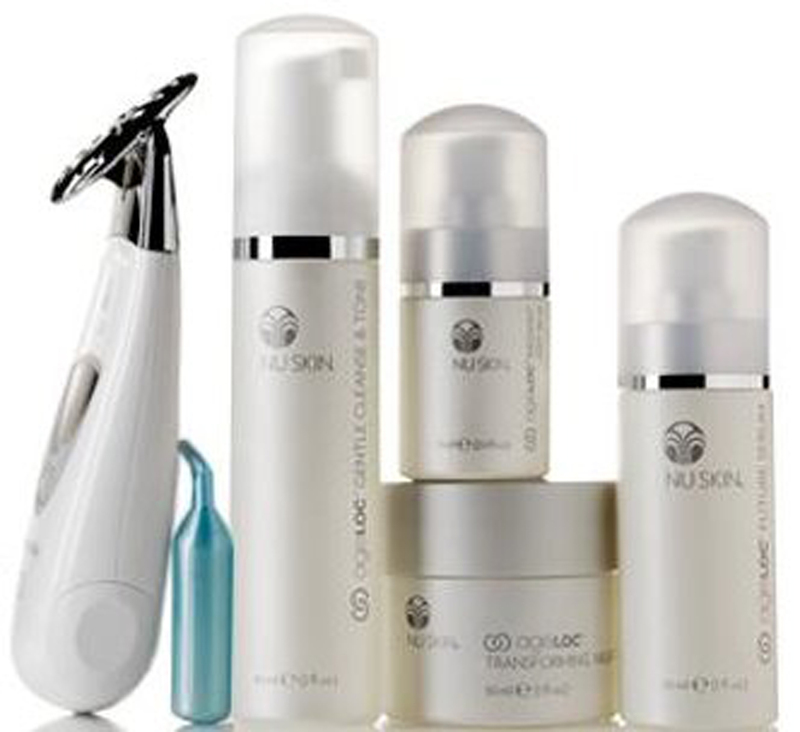 Click here for more about NuSkin or to get your own.